While some iPhone lovers out there may not agree with the above headline, Blackberry’s extensive portfolio was recently highlighted as being ideal in scenarios in which the individual leveraging the device is moving around from location to location. Taking a closer look at specific smartphones within the company’s large suite of next-generation products, the BlackBerry Curve 8310, BlackBerry Pearl 8110 and BlackBerry 8800 smartphones are great for traveling due to the fact that they all power robust GPS functions and Google Maps that when combined, eliminate the chance of you ever being lost -- at a dead end, in the middle of the night, in the pouring rain, and halfway across the globe -- from ever happening again. 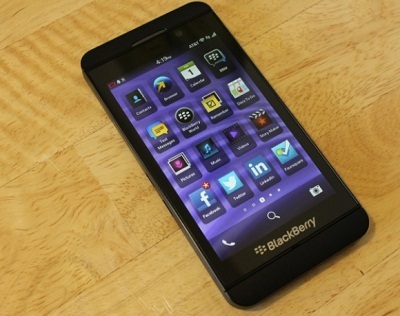 Earlier this month, Blackberry revealed it had netted a profit of approximately $98 million in only three months. Industry analysts who have long forecast the demise of the company were proven wrong once again after their original predictions were that the company was actually headed toward the red. One of the primary reasons for the uptick in revenue was the introduction of the Blackberry Z10, which has already sold one million units. Company CEO Thorsten Heins said that around 55 percent of its newly attained users were purchasing the Z10 after moving away from other popular platforms including iOS and Android. "We're pretty excited by the stats we're getting from the market," CBS reported Heins as saying. "It's a strong testament to the strength of the product and differentiating elements." In spite of the fact that the smartphone’s launch date was pushed back by nearly a month due to reasons related to testing, since its debut critics have highlighted the product in a very favorable light.